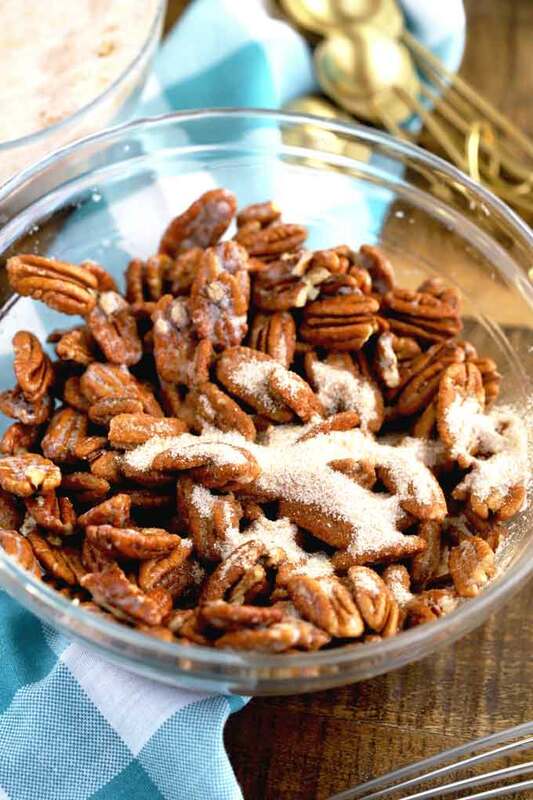 Candied Pecans are easy to make and incredibly delicious. These Candied Pecans are coated with cinnamon sugar and make a tasty snack. 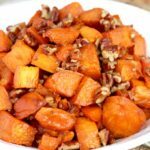 Candied Nuts are the perfect topping for many dishes like salads and desserts and make a wonderful food gift. 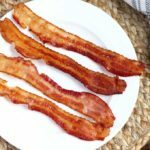 This post first appeared over at Princess Pinky Girl where I am a contributor. 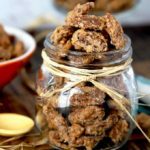 Slow roasted pecans with a spiced candy coating are one of my favorite snacks and a great topping for so many recipes. Buying a bag of candied nuts at the supermarket can be expensive – especially if you take a closer look at the size of the bag! (Seriously, why are they so small?). 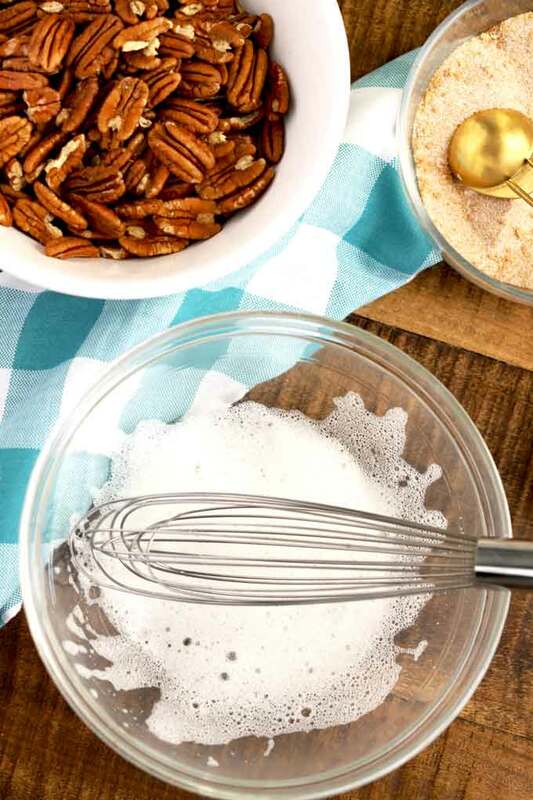 Making these glazed pecans at home is so much better and budget friendly! 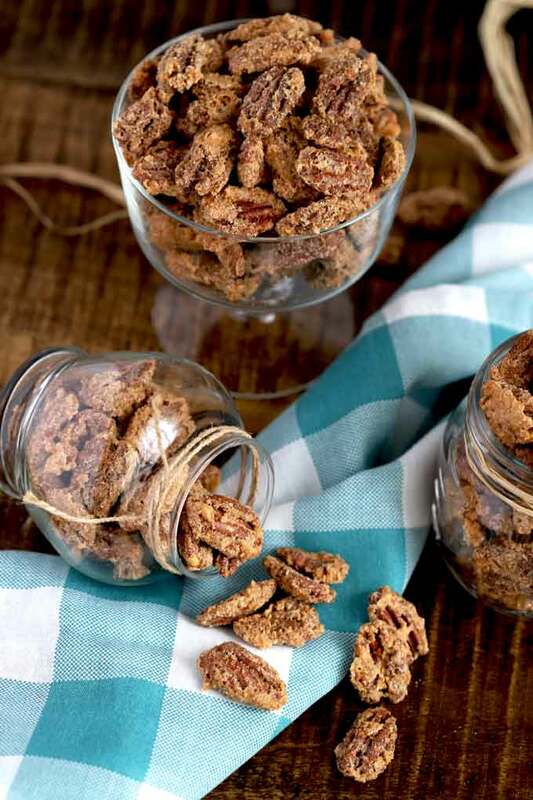 This Candied Pecans recipe is super versatile. 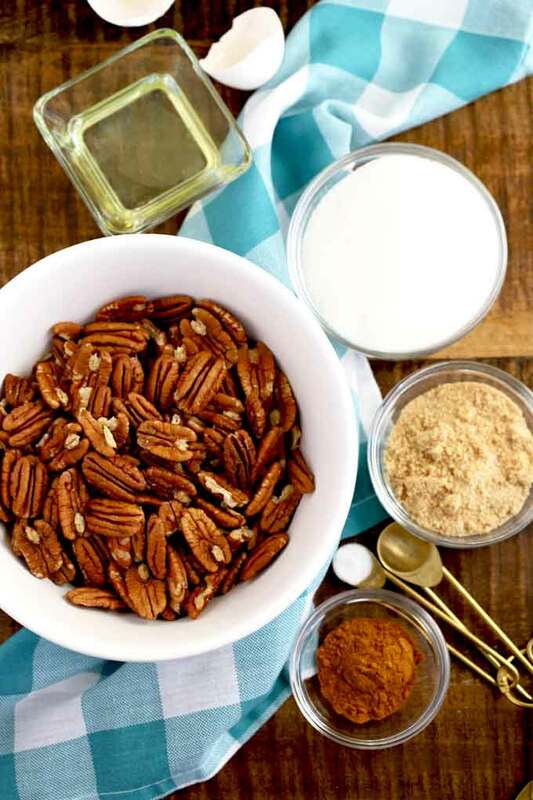 You can use any type of nuts – like walnuts, almonds and cashews. 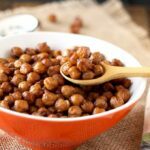 You can also substitute the spices with ingredients like smoked paprika, ground cumin, ginger and ground cayenne pepper for some heat! Mix the sugars, cinnamon and salt in a small bowl. 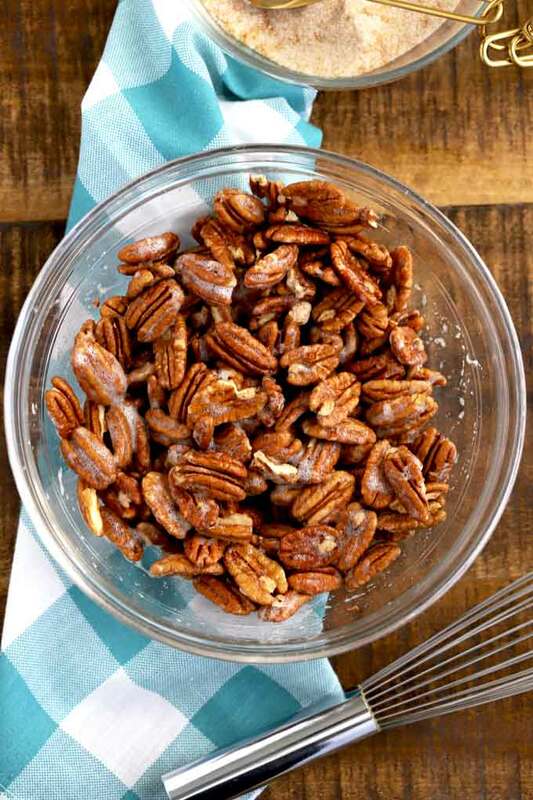 Spread the pecans on the prepared baking sheet and bake for 40 minutes, stirring a couple of times during the baking process. 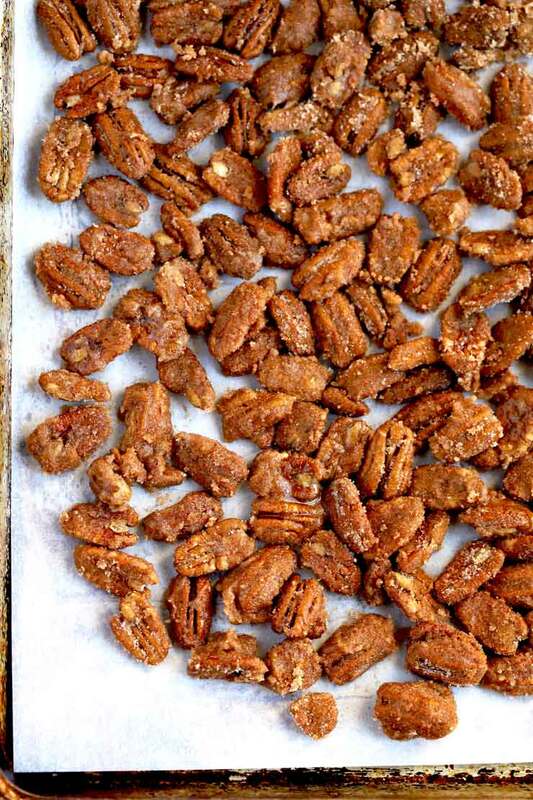 Cool the candied nuts completely and store them in an airtight container at room temperature for about a week. Do These Candied Nuts Need To be Refrigerated? 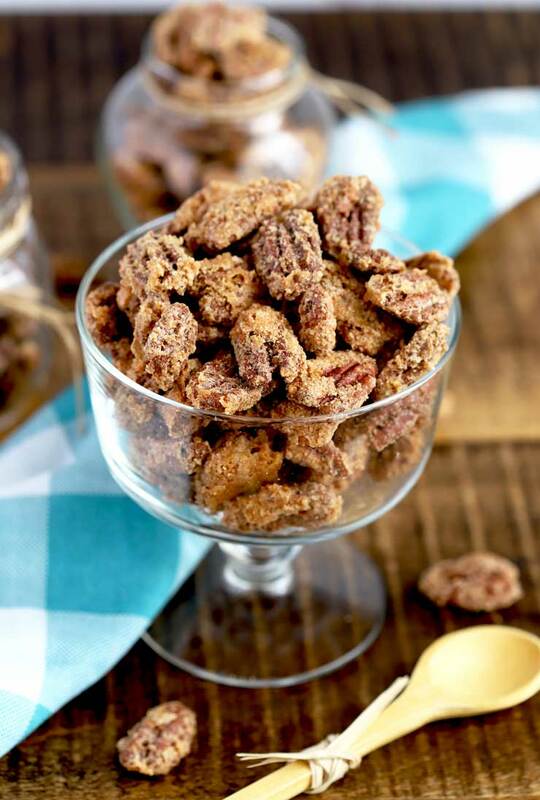 No, the candied nuts don’t need to be refrigerated however, if you refrigerate them, they will keep longer (up to 4 weeks). Make sure you place them in an airtight container. Absolutely! They can be frozen up to 2 months. Use parchment paper or a silicone baking mat to line your sheet pans. 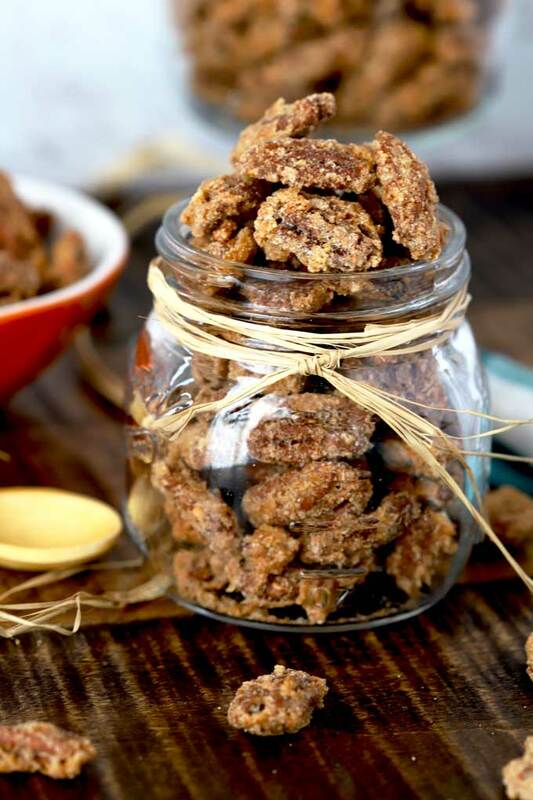 Place these sweet nuts in jars and give them away as homemade gifts. 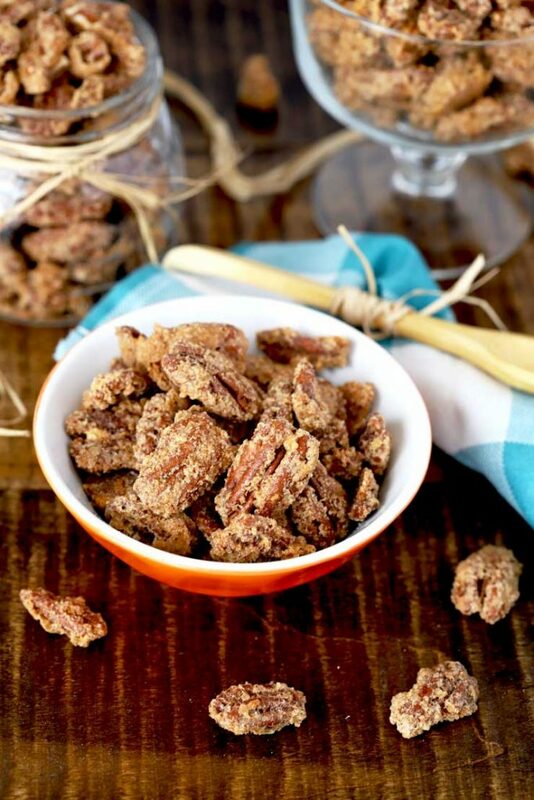 WANT TO MAKE THESE CANDIED PECANS? These worked great on a salad last night! And they were so easy to make…. I had a hard Time staying out of them …. next time I’ll make a triple batch! thanks! We are big fans of this recipe. Made them to have around when we had guests, and wish I had made a bigger batch (or kept some back just for me).